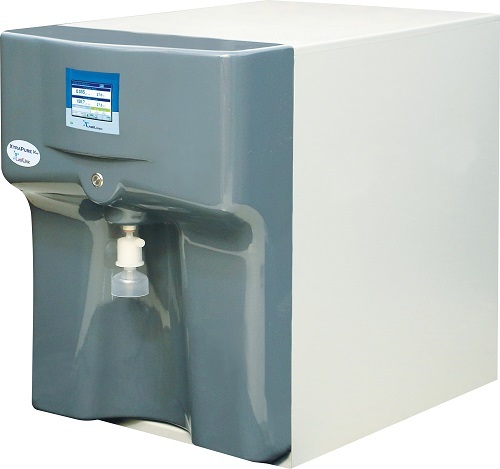 XTRAPURE Plus Water System provides you a reliable and compact system which produces Ultra-Pure Water System always ensures high comfort at low operating cost. XTRAPURE Plus system is equipped with reverse osmosis (RO) and additional filtration system to produce de-ionized water. The de-ionized water can be dispensed straight from the reservoir. Further Ultra-Pure Water is produced with a combination of optimized cartridges with UV & polishers. Other special polishers & 0.2 µm filter makes water XTRAPURE. The system comes with a touchscreen display with log book, alarm monitoring & print facility.